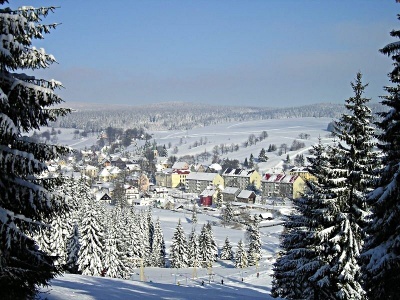 "U Semushki" are located in the main street of health resort town of Pernink. In your leisure time you can visit Karlovy Vary, Mariánské Lázně, Františkovy lázně, Hrad loket, Zámek loket, Zámek bečov nad teplou, Zámek kynžvart. Convenient location and homely atmosphere assure your relaxation and we shall do everything to make it comfortable at maximum. The guests have one of three apartments disposable, while each of them takes the whole floor; that is why you can house there together with children or with friends (8 - 10 persons in each apartment). The inside of the building has been reconstructed and equipped with new furniture recently. Restaurants, discos, shops, cinema, pharmacy, post and information centre are in the neighbouring buildings. We hope that you will be satisfied with your stay here and we are looking forward to your arrival!